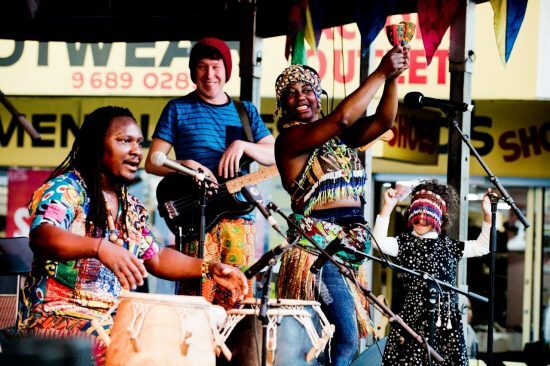 Each year Multicultural Arts Victoria (MAV) provides work opportunities to hundreds of local artists from diverse cultural backgrounds who perform to a broad range of clients. The development of a new brokerage model will provide greater opportunities for multicultural artists to present their work to new markets, as well as provide MAV with new income streams to achieve significant scale and sustainability. MAV has evolved over four decades into one of Australia’s most important bodies for the discovery, development and promotion of culturally and linguistically diverse contemporary art, heritage and cultural expression. Go for Broke involves the boost and refinement of MAV’s existing brokerage model, providing structured opportunities for artists to create cultural value and creative enterprise within communities. The new model is enabling MAV to be more proactive in seeking markets for artists, more responsive to clients, and more strategic in tailoring and promoting product to new markets. Social Traders worked with MAV to build the social enterprise business model as a whole as well as provide specific advice on micro business initiatives as they arise. ArtsReady is providing entry level training and support for young trainees in the program, delivering ‘wrap-around’ support for Indigenous and/or culturally and linguistically diverse (CaLD) background young people gaining qualifications while being employed. The program is anticipated to be self-sustaining within four years, doubling the opportunities for CaLD and Indigenous artists and creative practitioners across the State.